It's 2013. We should all know that there are clear differences between calling something a nerd and calling someone a geek. This is a fact! 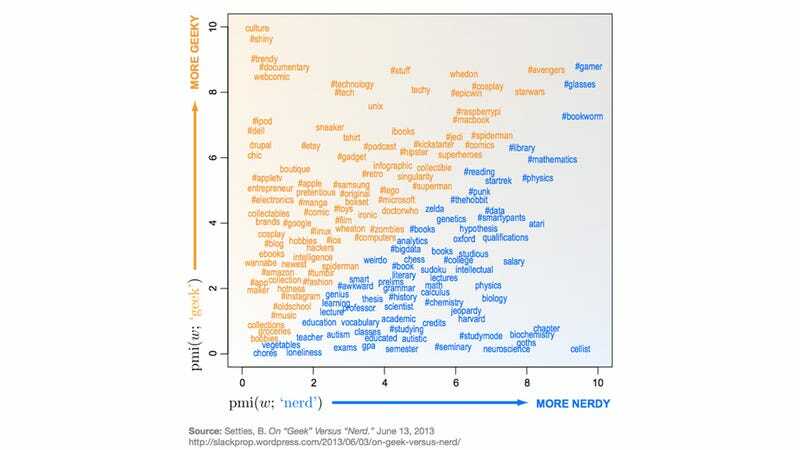 Slackpropagation created this nifty graph that shows the dividing line on what defines a geek and what defines a nerd. The easiest way to tell the difference? Geeks are fans of a certain subject, nerds are practitioners of that subject. But fret not, geeks can be nerds and nerds can be geeks too!